Genuine Savin 430223 (Type 135) Black Laser Toner Cartridge for Savin Fax 3651/ 3687/ 3705/ 3740/ 3740NF. Genuine Savin 9839 (Type 1175) Black Laser Toner for Savin Fax 3810. Genuine Savin 9841 (Type 150) Black Laser Toner for Savin Fax 3640/ 3680/ 3685/ 3690/ 3695. 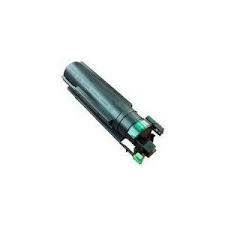 Genuine Savin 9875 (Type 116) Black Laser Toner for Savin 3725/ 3725e/ 3760/ 3760nf, Savin Fax 3750/ 3750nf. Also fits some Gestetner, Lanier, Nashuatec, Rex Rotary, and Ricoh Fax models. Genuine Savin 9889 (Type 1165) Black Laser Toner for Savin Fax 3710. Genuine Savin 4310 black laser copier bottles (type 3100D) designed for the Savin 9935DP / 9945DP laser copiers (108,000 Yield). 4 x 700 gm. laser copier bottles per pack.